I think everyone has a love of somewhere in the UK. That one place where you always go to and experience the best family fun not only with your children, but as your grew up yourself. For me, that place is Scarborough. I absolutely love Scarborough. I has a mix of stunning historical places and all the seaside fun you could imagine. A simple cove of stunning sand and sea with its very own harbour and lighthouse at the end of the very long harbour end. It is a great walk to go along, to view the lighthouse and watch all the boats leaving the harbour. The view across the ocean from here is stunning, you can see for miles and miles. The benches here at the end of the walkway, just in front of the lighthouse, are a perfect place to sit and have a picnic whilst watching everything go by. The whole front of the beach-line has a plethora of shops, amusements and food eateries, even including a small fairground. The traditional and most loved fish and chips can be bought from all over, even a delicious restaurant right on the seafront, just for that extra special touch. Dotted along the beach are little stalls which sells different types of food. Seafood, sweets and rock, drinks, and the all important chocolate waffles and doughnuts. Well, you can't go to the seaside without indulging in the of the yummy fresh desserts to scoff down on. Walk up the hillside to find Brunswick shopping centre which is full of major shopping chains alongside boutique independent shops so you can do a little shopping whilst sightseeing. 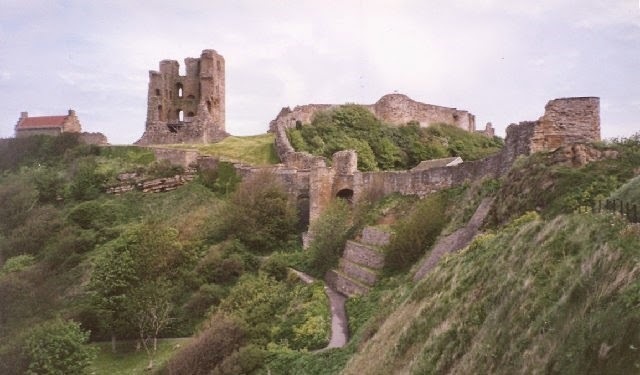 If you like a bit of history though then Scarborough Castle is for you. With 2,500 years of history, starting life as an Iron Age Fort and now being one of the most beautiful ruins to visit. With tours all throughout the year, you can find out all about the history of the castle. 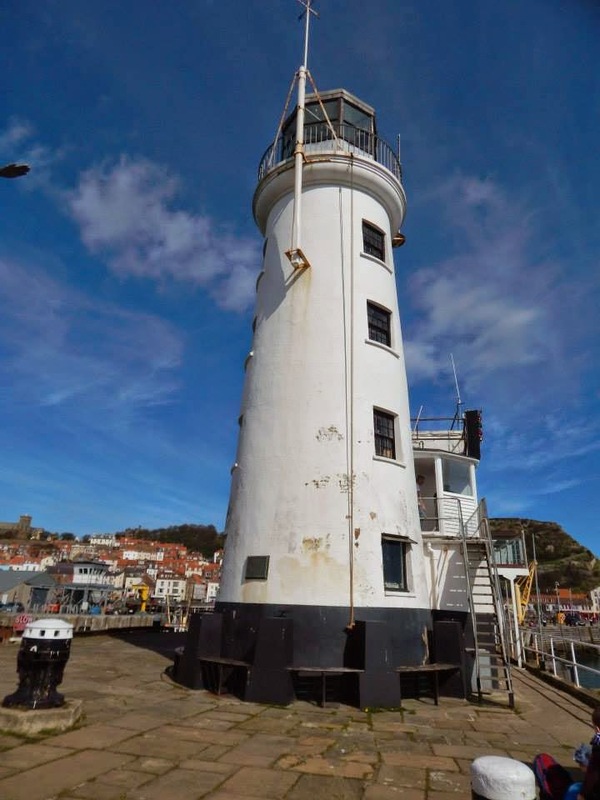 If you go to Scarborough in July, you might get to experience Seafest which is an annual festival and takes place at West Pier and around the harbour to celebrate the regions connection to fishing. It features many folk style bands and marquees where visiting chefs demonstrate the art of seafood preparation. Pop to Peasholm Park where you can experience 20ft replica boats recreating the tensions of a battle at sea. When the Naval Warfare event aren't on, it's a beautiful place to sit and relax, by the lake, taking in the stunning views of North Scarborough. 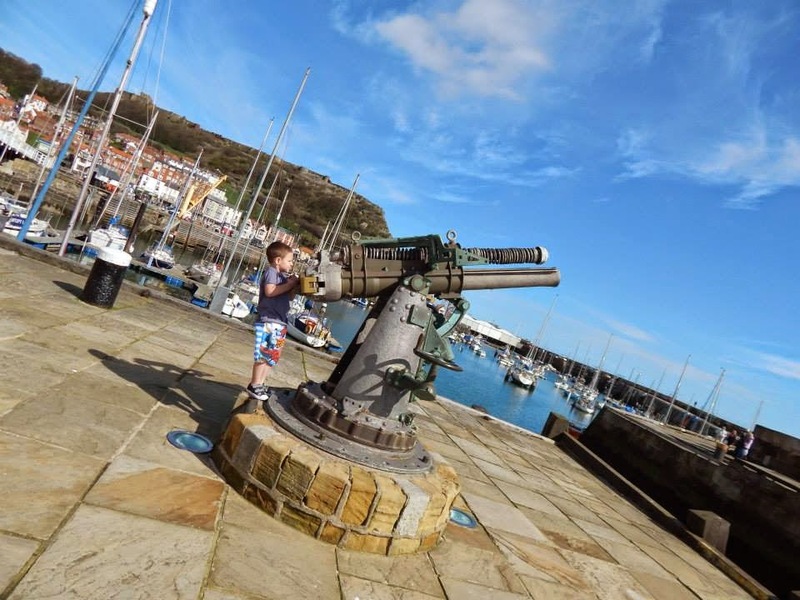 So, whether you are after a bit of history, family fun, or even a bit of everything, Scarborough can deliver. I wrote this post to enter the UK Breakaways Competition. You can enter too by writing a post about the UK destination that you love the most and explaining why. Just click here to enter the competition. 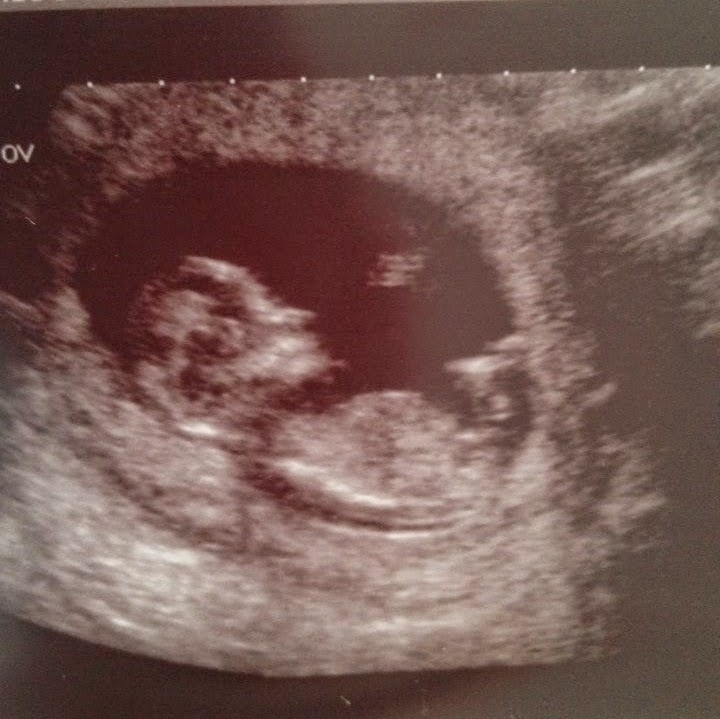 Here is my little squishy, the scan took place at 12 weeks and 5 days and I now have a revised due date of the 30th January 2015. My sister and I are now waiting to book in for our private 16 weeks sexing scan and I cannot wait. She is due 3 days after me so we decided to go to the scan together so we can both find out. Only 3 and a half week till we go now and I'm super excited!!! Being a mum of 2 messy boys means that I am always cleaning up after them. They seem to like trailing mud around our tiled kitchen floor a lot, boys will be boys I guess, which does become hard to remove once dried in. I am a cleaner though, I can't go a day without washing, mopping, brushing something ad luckily for me, my husband loves cleaning too so there is always one of us cleaning somewhere in the house and so getting some cleaning products to try out and review was one thin we both liked. As I'm sure everyone will already know, Zoflora is a huge brand that is recognised all over. The small bottle of very, very concentrated disinfectant which not only kills 99.9% of bacteria and viruses, but also contains a powerful odour elimination ingredient and a beautiful long lasting fragrance which will leave your home clean and fresh. I have actually used Zoflora for years. In fact, my parents who owned and ran pubs whilst I was growing up, always bought Zoflora to clean the premises with as it can be used to clean nearly everything. Floors, tiles, worktops, sinks, toilets, the list is endless and so they would always use it to not only give it that hygienic clean but because the lovely scent would last for hours after and get rid of the horrible toilet smells that you get in pubs. To use it, you simply dilute the liquid on a ratio of 1 part Zoflora to 40 parts water and off you go. I have diluted it into the mop bucket for the floors, added to a spray bottle to make cleaning the bath and toilets easier and even added to tubs and left toys to soak in for a while to clean them too. Luckily for me, I don't have to make up the spray bottle any more as they now also sell an antibacterial spray too which ready to clean anything. This is perfect for cleaning places that need a regular disinfection such as bin lids, toilet seats, cisterns and taps. Simply spray it on and then wipe clean with a cloth. They really are like miracle cleaning products leaving a lovely lasting scent for hours afterwards. And the best thing is that even this small bottle lasts ages and will keep my house smelling gorgeous for weeks to come. I do apologise for all the radio silence on the blog for the past few weeks. This pregnancy has hit me harder than I thought and has left me unable to do a lot of things. Team that with the fact that my husband has been in hospital all week having surgery and can now barely walk, you can imagine how hard we have been finding it at the moment. The boys are loving getting used to the fact that there will soon be 5 of us and Thomas keeps asking if we can make sure that the baby is a girl that he just has to call, Jo Jo. I guess Jo Jo is better than Betty which he preferred before. My sister, who is also pregnant and due the day before me, has got a foetal Doppler and so I had a go at it and got a lovely 158BPM reading. It was so nice to finally hear my little bump and on the 23rd July I have my scan so I will finally get to see our baby for the first time too. As I said above, my husband has been in hospital having surgery so a lot of the past week, the boys have spent time at my parents whilst I was in hospital visiting. He was having Microdiscectomy surgery to remove parts of 2 discs which were bulging into his nerves and causing pain. Although this is a common procedure which is usually over in 1 hour and a 1/2, my husbands didn't go exactly to plan and he had a dural tear which is basically a spinal fluid leak and the operation took 3 hours to finish. This tear happens in around 2% of these surgeries and means that post-operatively my husband was asked to lay flat, without movement at all, for 24 hours to allow the leak to seal. This also meant that he then had to spend an extra night in hospital due to this. Now he is finally home and resting. For the next 6 weeks he isn't allowed to bend, sit or do much at all apart from lying down and standing up and rattling due to all the tablets he has been placed on. I love receiving goodies for the boys and so when Asda offered to send them a surprise toy from the Little Tikes range, I was excited to find out what they would be sent. A few days later, the Little Tikes Tikeland Track turned up and Charlie's eyes lit up. 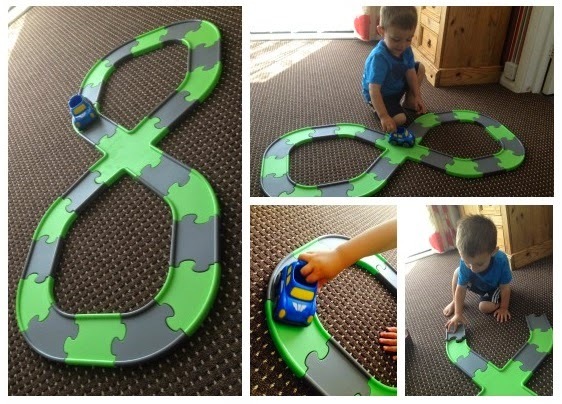 This set comprises of a figure of eight track, a few signs and a car to play with. The track itself was simple to put together, just a few pieces that slotted together and you're ready to play. Charlie loves playing with it. Pushing the car around the track and stopping at the signs. It is also the perfect size for other cars too so it sometimes does get a bit of a traffic jam going on too. The pieces are sturdy and you can tell are of a great quality that wont snap easily which is great around young children and the car comes with a dinted in bit on the top, perfect for little hands to hold on to it. At only £15 for the set, it's sure to keep little ones busy for hours. This Little Tikes Tikeland Track is available instore and on the Asda website too. I haven't written much recently, as you have probably noticed. This is because I have been suffering at the moment with all the worst pregnancy symptoms. This week, I have been diagnosed with hyperemesis gravidarum. To us common people, that is severe morning sickness. I had to fight with my GP just to stop them from admitting me to hospital with it. What it basically means is that I cannot take in much food or water without bringing it back up causing my body to use my reserves to keep me and baby going. I have promised to take it steady, eat little and often and to try to get in fluids as much as possible. If it hasn't subsided soon, then they will look to place me on medication to help stop the sickness. So for the moment, I am having to relax and take it easy, not rush things, which unfortunately means that my blog is suffering because of this. I will be trying to get back in to writing soon and hopefully get every post out that is due but please do bare with me at the moment.